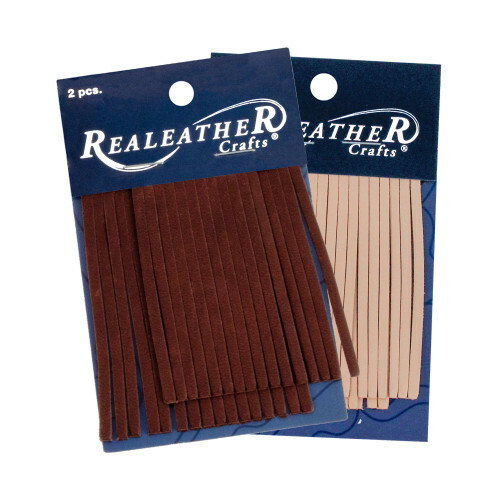 Our Realeather Fringe is a very popular trim for accenting garments, handbags, belts, scarves and more. Versatile 2" x 3" or 2" x 6" x 1/8" wide fringe coordinates with our leather lace. Available in assorted colors. Two pieces of matched fringe per card. Size: 2” x 3” x 1/8” or 2" x 6" x 1/8"